Internationally acclaimed pianist Rueibin Chen will perform an evening of Rachmaninoff’s compositions at the Wallis Annenberg Center for the Performing Arts as part of its inaugural season on Thursday, March 27 and Friday, March 28 at 8pm. Honoring Rachmaninoff’s 140th anniversary, Chen has been touring worldwide performing programs dedicated to the composer. He is the first pianist to perform Rachmaninoff’s three Nocturnes in Asia and California, USA. His 2014 world tour will include in Greater China, performing concertos with orchestras as well as solo recitals. Chen is the best-selling classical musician in Greater China in CD recording, having produced a dozen CD recordings with various labels, such as Universal, Naxos International, KKM Austria, and Jingo Records, recording works by Chopin, Liszt, Wagner-Liszt, Grieg, Tchaikovsky, Debussy, Rachmaninoff, Stravinsky and Piazolla, as well as his own transcriptions. His concerts have been broadcast on many radio and television programs throughout Europe, Asia, America, and Australia. Chen was invited to be the opening soloist in the 2010 World Expo in China, performing the Yellow River Concerto. 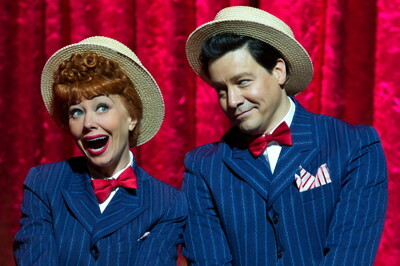 Critics hailed it as the best performance of the iconic piece in its history. His masterful performances of Rachmaninoff’s complete piano concertos (including the Paganini Rhapsody Op. 43) in two consecutive nights at Taiwan’s National Concert Hall garnered significant critical acclaim. Throughout his career, Chen’s musicianship has been highly praised by many renowned musicians and critics. Chen tours regularly throughout the world, performing in major concert halls, such as Carnegie Hall and Lincoln Center in New York, Kennedy Performing Arts Center in Washington, D.C., Walt Disney Concert Hall in Los Angeles, Davies Symphony Hall in San Francisco, Kodak Theater in Hollywood, Jack Singer Concert Hall in Calgary, Musikverein and Konzerthaus in Vienna, Gewandhaus in Leipzig, Concertgebouw in Amsterdam, Opera de Monte Carlo, Warsaw Philharmonie, Bolshoi Hall in Moscow, F. Mann Auditorium in Tel Aviv, Suntory Hall in Tokyo, the Symphony Hall in Osaka, Hong Kong Cultural Center, Beijing Music Hall, National Chiang Kai-Shek Cultural Center in Taipei, Shanghai Oriental Art Center, and the Sydney Opera House. He has held various artist-in-residence positions for various entities, including Hong Kong Radio Television, and he has acted as music director of various chamber festivals. He has been selected as the soloist for many orchestral world tours, including the Taipei Symphony on its Asian tour, Kaohsiung City Traditional Orchestra of Taiwan on its America tour and its Australia tour, the Evergreen Symphony, and the Taipei Symphony on their China tours. Chen has worked with many renowned conductors, such as Sergiu Comissiona, Antoni Wit, Pavel Kogan, Joseph Silverstein, and András Ligeti. A Chinese Austrian born in Taiwan, Chen won a total of eighteen medals, five of them gold, before the age of 20 in international piano competitions in Tel Aviv (Rubinstein), Warsaw (Chopin), Salt Lake City (Bachauer), Athens (Callas), Vienna, Manresa, and Italy (Rome, Rachmaninoff, Bellini, and Stresa), to name a few. Chen received his first piano lessons from his father when he was five. At the age of thirteen, he was selected by the government in a national talent search and was sent to Vienna, Austria, where he obtained a concert diploma from the Vienna Conservatory. Subsequently, he received a soloist’s examination award from the Hannover Hochschule für Musik in Germany and then continued his study under the late legendary Russian pianist Lazar Berman as his only disciple of Asian descent. In addition to his masterful artistry, Chen’s humble background and the hardship he endured as a youngster growing up in Europe all by himself have inspired many young pianists, both in Asia and abroad. His unique blend of East/West sensibility, his Chinese heritage, his European upbringing and training, his modest personality and his inspiring personal story have earned him a significant following all over the world. Chen started his career as a child prodigy and concert pianist at age ten when he made his debut with the Taipei Symphony Orchestra. He was named the Principal Soloist of “Moldova” Iasi and Tirgu Mures Philharmonic Orchestra in Romania. He has appeared as a soloist with many orchestras around the world, including the Utah Symphony, Budapest Symphony, Prague Symphony, Czech State Philharmonic of Brno, Moscow State Symphony, Russian State Symphony, Singapore Symphony, New Philharmonia Japan, Shanghai Symphony, National Symphony Taiwan, Taipei Symphony, Hong Kong Sinfonietta, and London Chamber Players, among others. Chen made his European debut to much acclaim in the Grossensaal of the Konzerthaus in Vienna in 1984. He has been invited to perform at many festivals, such as the International Salzburg Music Festival, Vienna Spring Festival, Schleswig-Holstein Music Festival, Hong Kong Festival, Taipei Music Festival, Taipei Arts Festival, the International Rachmaninoff Music Festival in Moscow, the Janáček Music Festival in the Czech Republic (formerly Czechoslovakia), the Chopin Festivals in Austria, Czech Republic and Poland, various festivals in Romania, and the Auckland International Piano Festival. He has participated at many internationally and historically significant events, including his performances as the designated soloist of the 75th Anniversary Celebration of Turkey and the designated soloist for the Macau-China Reunification Celebration Ceremony. In recent years, in addition to his solo recitals and orchestral performances of classical repertoire, Chen has devoted much effort to the collaboration and premiering of new solo and piano concerto works. 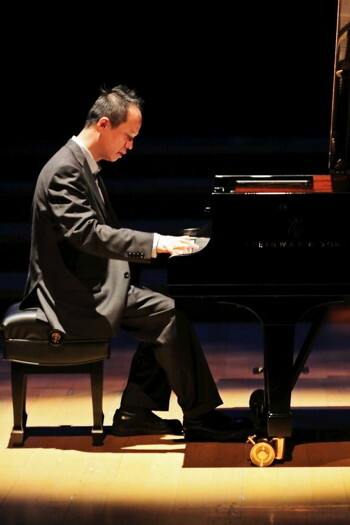 Critically-acclaimed new piano concerto compositions, such as the Love River Concerto, which depicts the fondness for a famous river in Taiwan, and the Winter Trilogy, written to celebrate the Hakka heritage, were both composed through a collaboration with Chen on the piano part and premiered worldwide with performances at Lincoln Center in New York, Sydney Opera House in Australia, and the Hong Kong Cultural Center. Chen is also an active chamber musician and has performed with international chamber groups, such as the Lark Quartet and Shanghai Quartet. He has given master classes in musical strongholds, such as the New England Conservatory in Boston and the Masterplayer International Music Academy in Lugano. He has served as a jury member in international piano competitions in Switzerland. He has also served as artistic director of various festivals, including Taiwan government’s music festival. Kaohsiung City of Taiwan has appointed him as their music ambassador. In commemoration of the 200th anniversary of Chopin’s birth in 2010, Chen launched a project to present a series of concerts featuring Chopin’s masterpieces, including solo and piano concerto works, in major cities throughout America, Europe, and the Asia-Pacific region from 2008 through 2010. In between his demanding touring schedule, Chen has devoted much of his time to helping the underprivileged and various worthy causes. In 2012, he was the keynote celebrity performer at the American Red Cross Gala in Los Angeles and performed for the gala guests and Ms. Jane Seymour. That same year, he organized the first National Piano Competition for Disabled Youngsters in Taiwan. The winners got a dream of lifetime to perform on stage with Chen in two large concerts with over 2,000 people in the audience. Also in that year he participated in a special project called “Play Me, I’m Yours” with the Los Angeles Chamber Orchestra and a benefit concert with the Pasadena Symphony in honor of Marvin Hamlisch. In addition to the awards from various international piano competitions, Chen has been the recipient of various distinguished awards and honors, such as the “Bösendorfer” prize in Vienna and being chosen by Taiwan’s Minister of Culture as the “Best Young Artist.” Chen won the “Best Prize for Contributions to Music” at the Salzburg International Music Festival and the “Albert Roussel Prize” in Paris. He was invited by the president of Taiwan, Teng-Hui Lee, to his Festival Concert at the Presidential Palace, which was broadcast by national radio and television networks. Subsequently he was also honored by the two succeeding presidents. He was awarded the “Taiwan Millennium Best Artistic Performance Award” in 2000, the “Golden Melody Awards” for “Best Performance” and for “Best Album,” and the “Character of Highest Potential” in Taiwan. Chen was also honored by the county supervisor of greater Los Angeles County for promoting diplomacy between the United States and Taiwan through music with his solo recital at the Walt Disney Concert Hall. Located in the heart of Beverly Hills, the Wallis Annenberg Center for the Performing Arts (The Wallis) has transformed a Beverly Hills city block, facing Santa Monica Boulevard, between Crescent and Canon Drives, into a vibrant new cultural destination with two distinct, elegant buildings: the historic 1933 Italianate-style Beverly Hills Post Office (now the Paula Kent Meehan Historic Building) and the new, contemporary 500-seat, state-of-the-art Bram Goldsmith Theater. Together these two structures embrace the city’s history and future, creating a new cultural landmark. Within the treasured Post Office, existing spaces are re-imagined into the 150-seat Lovelace Studio Theater, a theater school for young people, a café (both opening in 2014), and gift shop. The Wallis, the first performing arts center to be built in Beverly Hills, is now a home for artists from around the world and audiences of every age. The Wallis will produce and present outstanding theater, music, opera and dance, as well as exciting programming for the family audience. this piece of writing is truly a good article, keep it up.